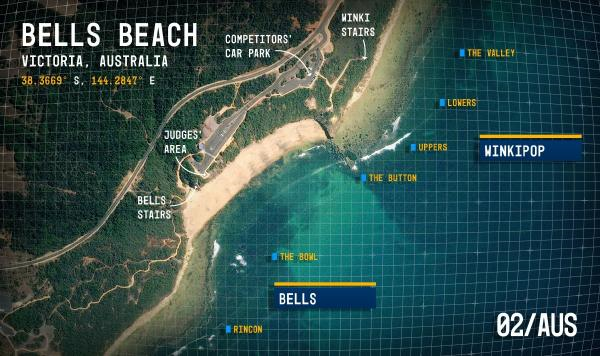 As a location, Bells Beach isn’t exactly idyllic. It’s cold and regularly crowded. But Victoria, Australia’s famous break presents its own form of grandeur: Visually stunning, Bells is reliable and accessible — especially to thousands of surfers who live in Melbourne, Australia’s second-largest city, 90 minutes to the northeast of the famous spot. The closest town is Torquay, also known as the Gateway to the Great Ocean Road — a paved paradise along 151 miles (242 km) of coastline. For eager surfers hitting this renowned stretch of coast, Bells Beach is stop No. 1. 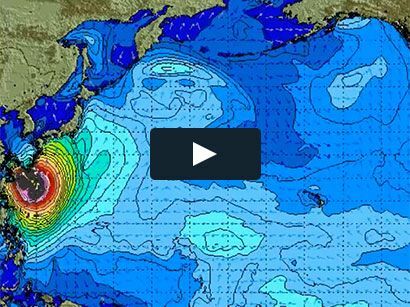 Simply put: Pull into the car park, run down the stairs and paddle out from the beach. The Bells Beach breakdown, from Rincon to Winkipop. Joel Parkinson, who has won at Bells three times, knows the break as well as anyone. He first travelled to Bells at age 14 and he’s tasted victory there on multiple occasions.